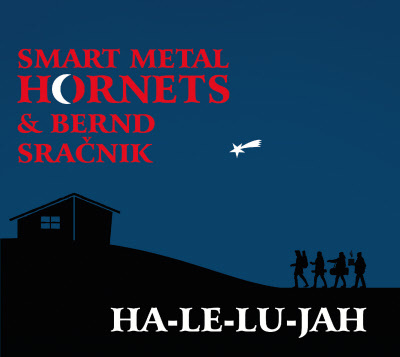 That’s the 5th CD-production of the styrian hornplayer-project SMART METAL HORNETS, and it’s something New in two ways. For the first time in it’s 27-years-existence this group deals with a thing called Xmas. And for the first time there is an audio-production in cooperation with Bernd Sracnik, a great actor/director from Graz. SMH and Bernd are working together since 2001 already, and in this time 4 remarkable-entertaining shows of music&literature arised. The last one of these shows is this special Xmas-programm where that CD arised from. Altogether there are 15 Tracks on this CD, and 11 of them are traditional Xmas-Songs of european, mostly alpin origin. With elements of Blues, Jazz, Rock and Reggae these songs are arranged and interpreted fresh, groovy and humorous in the proved special way of SMH. 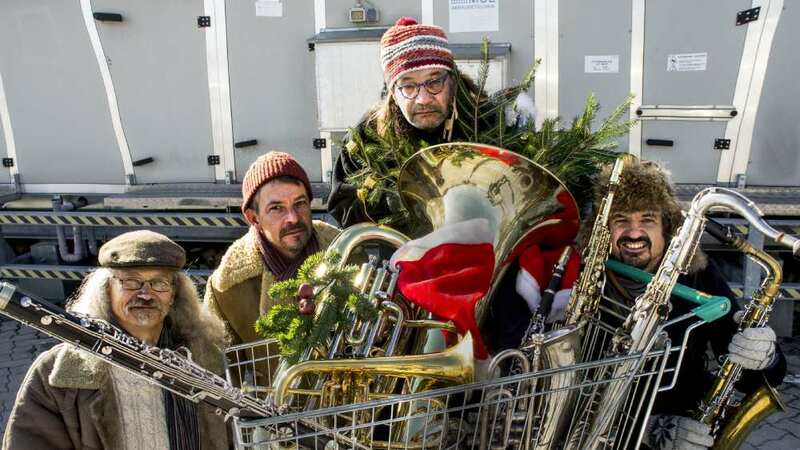 ‚Rudolph, the rednosed Reindeer’ is the only American tune on this album, and it was ‚alpinised’ by elements of Austrian folkmusic. And there are 3 text-originals written by 2 authors from Austria and one anonyme german author as well. The styrian cabaret-artist Leo Lukas contributed the music to one of these originals. Cause of the many instruments – 5 different instruments are played by each musician – there is a CD with a great multiplicity in sound. And Bernd Sracnik is first of all a many-sided, humorous interpret(and author) of words, but a singer as well.